Provide a private bedroom, 2 meals per weekday, all meals on the weekend, daily transport to and from school. 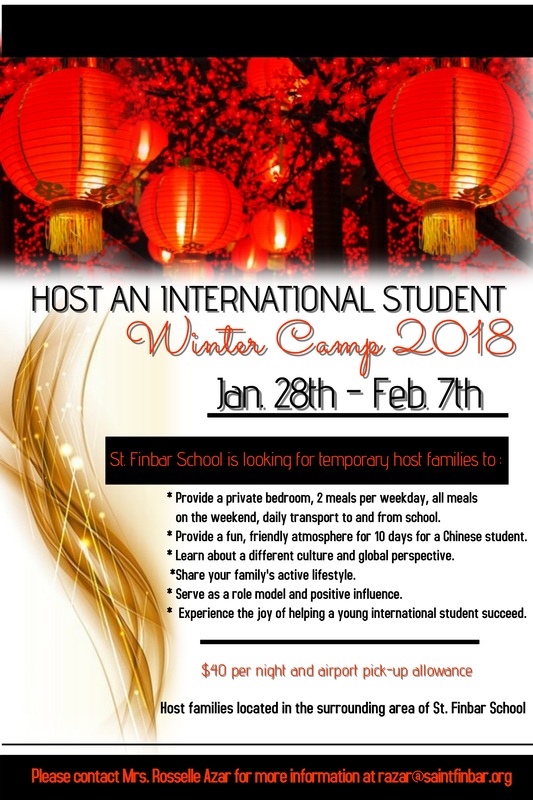 Provide a fun, friendly atmosphere for 10 days for a Chinese student. Learn about a different culture and global perspective. Share your family’s active lifestyle. Serve as a role model and positive influence. Experience the joy of helping a young international student succeed.